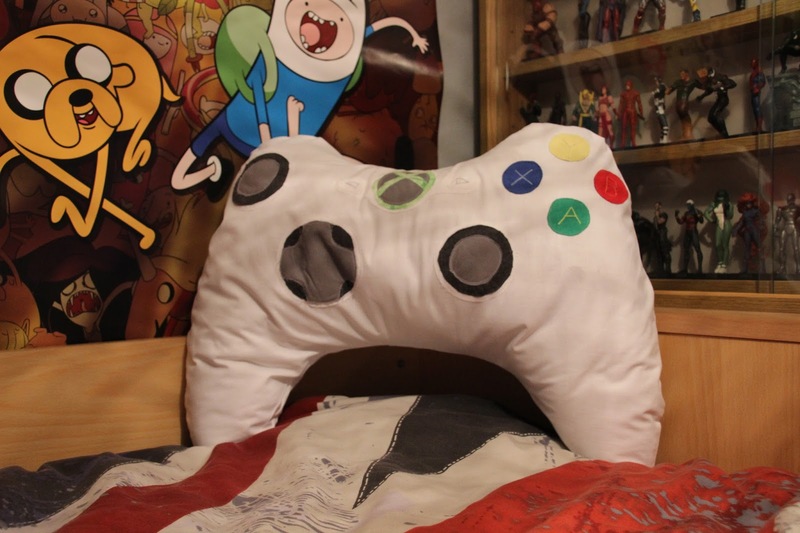 DIY // Xbox controller pillow tutorial! For valentines day, I hand made the boyfriend an Xbox controller pillow. As I was making it I took photos along the way so I could do a potential tutorial if it turned out well. I'm very happy that it did turn out well, and he loved it! so here is the tutorial! This is going to be a long post, with loads of photos to demonstrate, so I'm going to add a jumpbreak just in case you're not interested, if you are, just clock read more! Find and print out an Xbox controller layout to follow. I got mine here and spit it up into four equal pictures so that I could print them on four seperate A4 sheets of paper. Once they were printed I stuck them together using sticky tape to create a guideline to follow. Remember that this doesn't have to be perfect, so if the image is blurry, no worries. If your pillow is smaller, make the template the right size to accommodate this. Once you have your this, place your pillow over the template, and trace the shape using a pencil, remembering to leave a CM extra around the edge for a seam allowance. Cut two of these pieces out and remember to keep any scraps! Using the template and your scraps, trace around the outer shape of all the buttons apart from the A,B,Y and X buttons. I used a piece of paper to draw out new templates, and cut them out. Then using pins to secure the cut out templates to the material, cut around them to get the shapes you need. continue cutting out the shapes your need in this way, creating new templates for each smaller circle and buttons. Make sure you use the right coloured material. You will end up with six white pieces, three dark grey, four light grey, two light green and one red, yellow, blue and green circles. Once you have all the shapes you need, lay them together in the way that they would be just to check you have everything you need. See the picture or your Xbox controller to double check! Now it's time for the sewing! All of the sewing can be done by hand, but is much quicker if done on a machine. Take one of your layered up buttons, and one by one sew each layer onto the bottom white layer. Remember to use a matching thread so that the sewing isn't as visible and only sew around the edge of the layer you are adding. Do this to all four of the sections until they are secured together. The first image shows the 4 layered buttons secure and ready for attaching, keep them to one side. Grabbing your yellow, red, green and blue circles, start to sew the appropriate letter onto the circle using thread that is of a slightly lighter colour to your material circle. 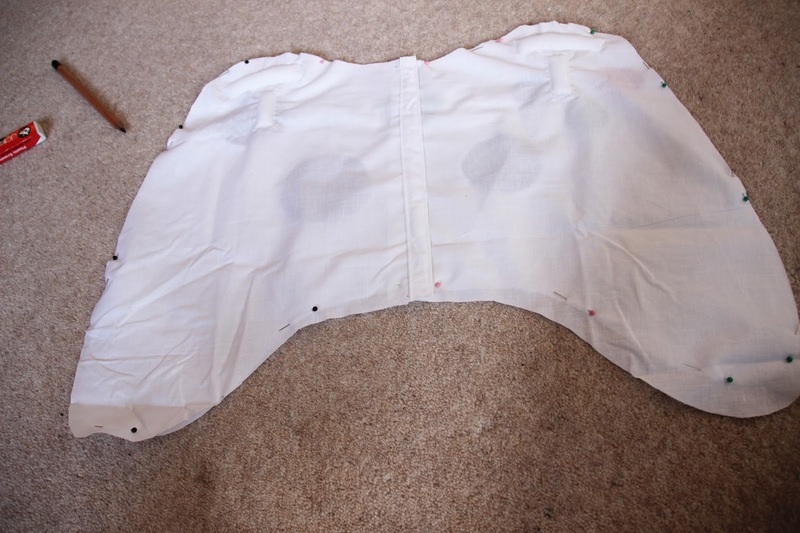 Now you should have all of your buttons ready for sewing onto the white controller shape! Using your original paper template, lay the one of the white controller shapes over the top and determine where the button layers should go on the pillow. Once they are in the right spot, use some sewing pins to secure them into place! Do this for all of the buttons. Using matching coloured thread, sew all of the buttons to the pillow, removing the pins as you go as not to sew over them. This step can be skipped and just something I did for extra detail and to make the back a little more interesting. Use some pins to pin them in the right places, and then using either a sewing machine or by hand, sew them all down along three sides, the two long sides and one of the smaller sides. Once they are sewed down three of the sides, take tiny little bits of stuffing and fill the shape until you are satisfied with the shape. Once they are all stuffed, sew along the last small edge. Now you have four little raised buttons that are the LB, RB, LT and RT! Now it's time to construct the actual pillow. Remember right at the beginning when you cut out two Xbox shapes? Well one of them was the back of the pillow, and you need it now! Lay one of the pieces down flat, and then lay the front section of the pillow with all of the buttons facing down, as if it was inside out. Using pins, pin the two pieces together roughly around the edge to keep them together. Using your sewing machine, or by hand, sew the two pieces together using white thread around the edge, making sure not to go over the edge and taking the pins out as you go. BUT REMEMBER to leave a 4/5cm gap (enough to fit your hand in) at the bottom of the pillow, don't sew it all the way shut. Once the pillow is sewn most of the way around, except the little gap at the bottom, using the gap, turn the pillow inside out. If the shape is a bit iffy, use a ruler to gently push the cushion out, so that it is smooth all the way around. Now you have the shape of your pillow, yayyy. All you need to do now, is get your stuffing and stuff away! I find it easier to start in one corner and fill up a whole side, then start on the opposite side. Be generous with your stuffing, as you want it to be nice and plump, for comfy-ness and to make it look the best it can! Once you are happy with how stuffed your pillow is, you need to sew up the little whole at the bottom. The best method to do this, is to use a ladder stitch, as this is a hidden stitch and it will fit well with the rest of the pillow. I'm not going to try and explain this, as it will be too confusing, so go watch this video, as being able to see how to do it, is so much easier than reading me trying to explain it! Once you have closed up the hole using the ladder stitch, YOU ARE DONE! This is the perfect gift for any Xbox fan, and will look so good in their room! If you have any questions about the tutorial, then just comment down below! OR, if this seems too complicated for you, but you really like the pillow, then you can buy it from my Etsy shop right here and have one delivered right to your door all ready for you or your loved one! Hair Plan // Final thoughts! 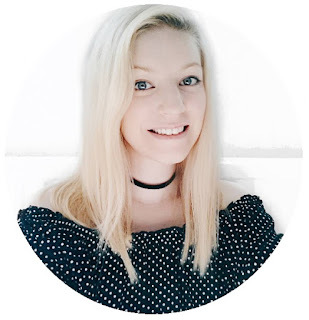 The Lifestyle Blogger Tag // My First Tag!